Your Wedding Day is one of the most important experiences in your life, full of special memories. The months leading up to your special day are packed full of planning, and can be oh-so-stressful! So why not leave your health and fitness planning to us? You want to look and feel your best on your big day, but why waste time stressing on how to achieve your dream goals? 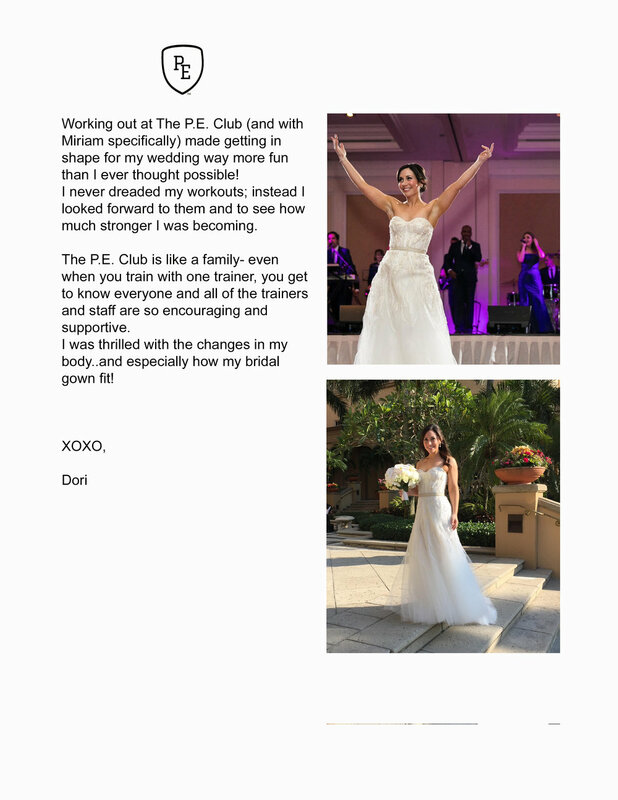 Our trainers' have years of experience getting Brides, Grooms and family members feeling fit, looking fabulous and wedding day ready! After all...it's an investment in yourself, your future and your dream day!